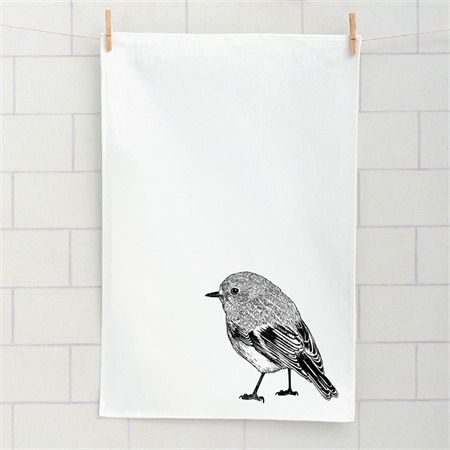 This screen printed tea towel would make a great gift for a wedding, house warming or for a loved one overseas. Measurements are 70cm long by 48cm wide. Inks used are water based and environmentally friendly. Interesting facts about the Scarlet robin are on the back of the label.